Kevin Harden is the digital editor for the Pamplin Media Group and author of the daily Good Morning Rose City column. I write the Portland Tribune's daily Good Morning Rose City column. On Sunday, Nov. 18, I did a disservice to journalists who have died in the line of duty. In that column on www.portlandtribune.com, I wrote: "Today in 1978, more than 900 people died in a mass suicide/mass murder in the Guyana compound run by the Jim Jones' Peoples Temple. The incident came after California Congressman Leo Ryan and three other people who traveled to South America to investigate conditions at the compound were shot to death as they tried to board charter planes to leave." Those "three other people" were San Francisco Examiner photographer Greg Robinson, NBC cameraman Bob Brown and veteran NBC reporter Don Harris. Also among the dead on that horrible day at Guyana's Port Kaituma airstrip was Peoples Temple defector Patricia Parks. Nine other people were wounded in the attack. Among them were NBC soundman Steve Sung and San Francisco Examiner reporters Tim Reiterman and Ron Javers. By just calling them "three other people," I did the same thing as several other stories about the terrible anniversary of the attack 40 years ago — I mentioned Rep. Leo Ryan's tragic death and passed over the others who lost their lives. I was wrong to gloss over them. We should remember their names too. HERE'S WHAT HAPPENED on Nov 18, 1978: U.S. Rep. Leo Ryan, a Democrat from San Mateo, Calif., and a group of journalists, staff and public officials, visited the Peoples Temple Agricultural Project in Northern Guyana, known informally as "Jonestown." The project was part of the controversial Peoples Temple in San Francisco, led by the charismatic and devious minister Jim Jones. Peoples Temple was a diverse and politically active church, with Jones playing power broker in local, and sometimes national, political races. His South America venture was an attempt to create a "socialist paradise" away from the prying eyes of the American news media. Reports filtered out that people were being mistreated at the San Francisco church and at the Guyana agricultural project. Families of church members were worried. Ryan and members of his staff went to check it out. That wasn't unusual for Ryan, a U.S. Navy veteran who had just been elected to his fourth term in Congress. Several times in his political career he traveled to the heart of controversial places to see the issues for himself. The trip to Jonestown turned sour, so Ryan and his group started to leave. A handful of defectors asked to leave with them. 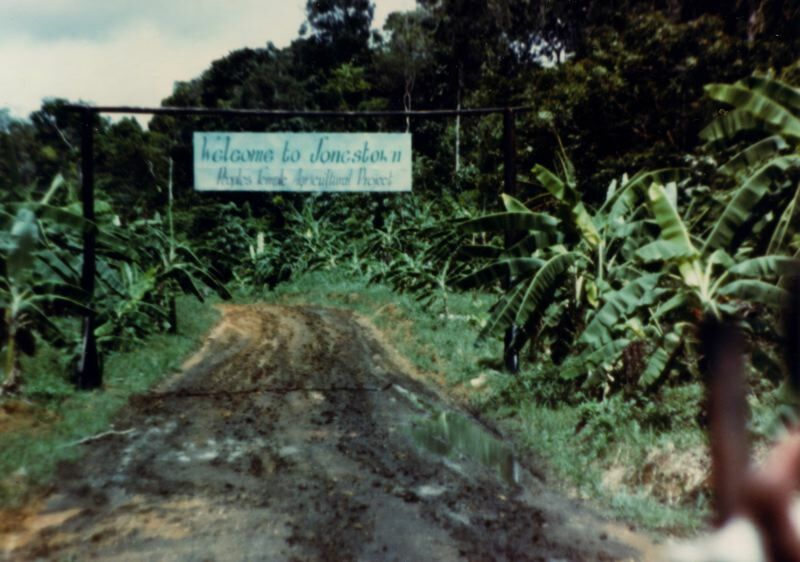 When they got to the small airstrip to board chartered planes, they were attacked by Jonestown loyalists who shot them and attacked people on a plane as it took off. After the attack, more than 900 people at Jonestown died or were killed as Jim Jones ordered a mass suicide of the Peoples Temple followers (something Jones prepared for because he preached an apocalyptic message). Many drank a poison-laced grape drink, some giving it to their children first. Many refused to take part in the ritual and were shot or ran into the jungle to escape. REPORTER TIM REITERMAN remembered in a 2015 article that the Examiner's photographer Greg Robinson continued to take photos as his attackers opened fire at the airstrip. He did his job right up until the end. The same was true of NBC cameraman Bob Brown, who filmed the attackers in their trucks and even as they began to shoot. NBC reporter Don Harris had been a news correspondent in Saigon during the Vietnam War, covering the fall of Saigon in April 1975. He earned the nickname "Mr. Lucky" by dodging bullets in the war zone. His son Jeffrey is a TV journalist in Spokane. Since 1992, the Committee to Protect Journalists reported that 1,324 journalists have been killed or died doing their jobs. So far this year, 45 journalists have been killed around the world. Greg Robinson. Don Harris. Bob Brown. They died doing their jobs alongside Congressman Leo Ryan. Let's not forget that.